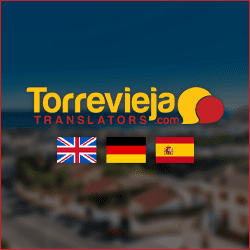 Torrevieja nightlife is vibrant and varied with an excellent selection of lively bars and nightclubs including a choice of adult clubs such as the cheeky Showgirls Club Torrevieja. Ideally situated in the city centre, and just a short drive from Torrevieja’s outer lying residential areas, Showgirls is open daily from 17.00 until well into the early hours of the morning. Located on Calle La Sal, just one block up from the main Av. de las Habaneras where it reaches Los Locos beach, the club is easily recognised by its bright neon lighting and signs. The interior of the club is very appealing, and tastefully decorated with modern tiled flooring, subtle lighting and elegant touches such as chandeliers and tropical plants. The large bar has comfortable stools and a great choice of drink options including decadent champagnes and inventive cocktails. Throughout the club there are comfortable chill out seating areas and bed size sofas, interspersed with raised dance podiums so, no matter where you are sitting, you can still enjoy the shows. These include striptease, erotica, lesbian and pole dancing, as well as a few other surprises to spice up the evening. Private shows are available as well as facilities for business, stag, hen and even yacht parties. On the upper level of Showgirls Club Torrevieja guests can enjoy comfortable, fully equipped suites with Jacuzzi baths. 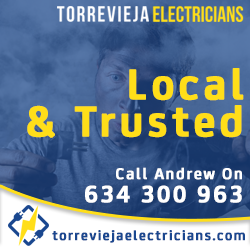 Being in the city centre makes it easy to spend the earlier part of your evening visiting a few bars, or sampling some fine local cuisine in one of Torrevieja’s excellent restaurants that are within easy walking distance from Showgirls. Just a 5 minute walk from the club, at the opposite end of Los Locos beach is the fantastic Tropic 222 bar/pizzeria that is more like a mini complex with 5 bars, restaurant areas and large pretty outdoor terraces.